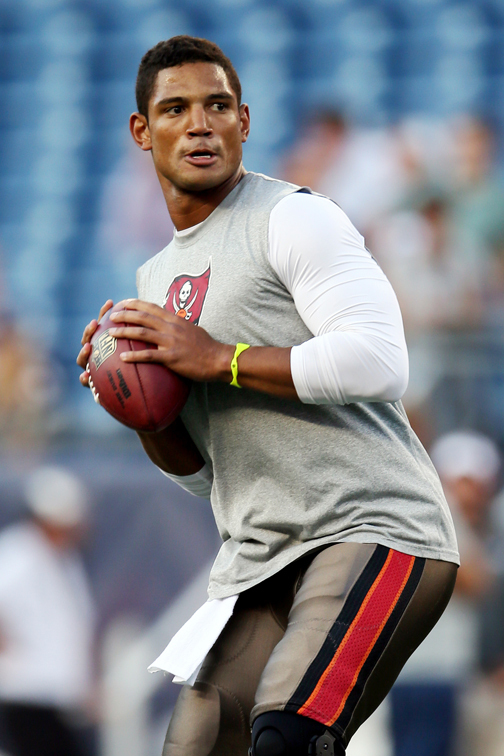 EDEN PRAIRIE, Minn. (AP) — Your turn, Josh Freeman. Freeman was named the latest starting quarterback for the scuffling Minnesota Vikings on Wednesday. Freeman’s second week with the team will culminate on Monday night with him leading the offense against the New York Giants. Coach Leslie Frazier also said that Christian Ponder will be the backup, not Matt Cassel, assuming Freeman makes it through the week without problems. Freeman will be the third starter in the last four games for the Vikings (1-4) and the 11th since Daunte Culpepper’s season-ending knee injury in 2005. Freeman was cut by Tampa Bay on Oct. 3 and signed by Minnesota to a one-year contract five days later. “We’re just going to make plays for whoever’s in there and just make it as easy as possible,” wide receiver Jerome Simpson said. Freeman started 59 games over four-plus seasons with the Buccaneers. The 25-year-old former first-round draft pick threw for 25 touchdowns and just six interceptions in 2010, his first full season as a starter, but has been up and down since. The Vikings were on the wrong end of one of his best games last year, a 36-17 victory at Minnesota when he passed for 262 yards and three touchdowns without an interception. Frazier said he was impressed by Freeman’s first practice with the team. Frazier said he hasn’t considered a scenario in which Ponder wouldn’t still be on the roster for the rest of the season. Ponder said he wasn't sure about his future here. The trade deadline is Oct. 29. He’s under contract with the Vikings through at least 2014. “I have to figure out what’s best for me and everything and for this team. I don’t know if that’s staying here and going somewhere else,” Ponder said. Ponder started the first three games until he broke a rib. Cassel took over and led the Vikings to their only victory. Frazier said he preferred to keep the factors in his decision to put Ponder ahead of Cassel on the depth chart private. The coach also said he had full authority to make Freeman the starter. He acknowledged, though, that owners Zygi Wilf and Mark Wilf and general manager Rick Spielman were consulted. “When you’re talking about the quarterback position, which affects your entire franchise, this is not a decision you make alone,” Frazier said. Running back Adrian Peterson was missing from practice because of a personal matter. Frazier said he expected him back on Thursday. The coach declined to specify whether his absence was related to the situation in South Dakota regarding his 2-year-old son, who died last week by alleged abuse. A man is in custody in South Dakota. Safety Harrison Smith was also not present for the beginning of practice reporters were allowed to watch. With the game on Monday this week, the Vikings aren’t required to produce an injury report until Thursday. Smith suffered a turf toe injury to his left foot on Sunday. Frazier said he’d provide an update on Thursday.